The shy giant had gotten a bit lost — but people were happy to point him in the right direction. If you were to close your eyes and imagine an armadillo, this is probably the creature who would come to mind: a nine-banded armadillo — commonly found across a broad range, including the southern United States. 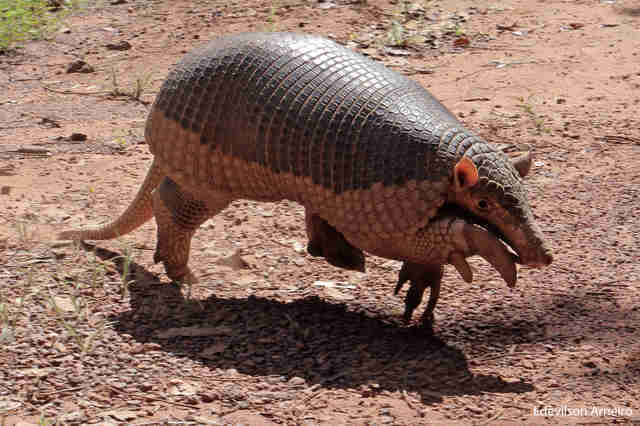 Nine-banded armadillos are among the largest animals of their type (some of whom are quite small), but this species is nothing compared to their enormous cousins south of the border. Chances are, it's an animal you've never seen before. 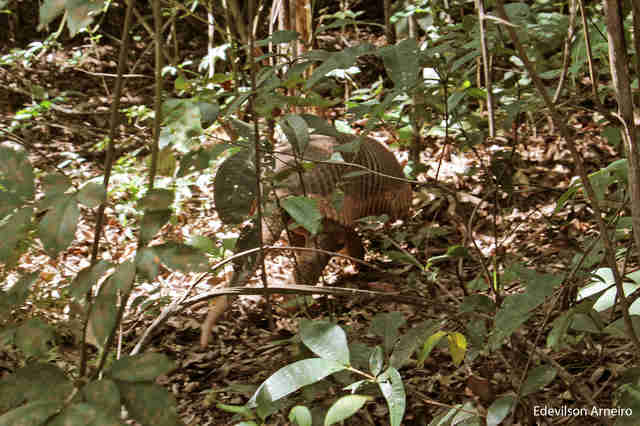 Giant armadillos, native to South America, can weigh up to 180 pounds and reach lengths of nearly 5 feet, head to tail. 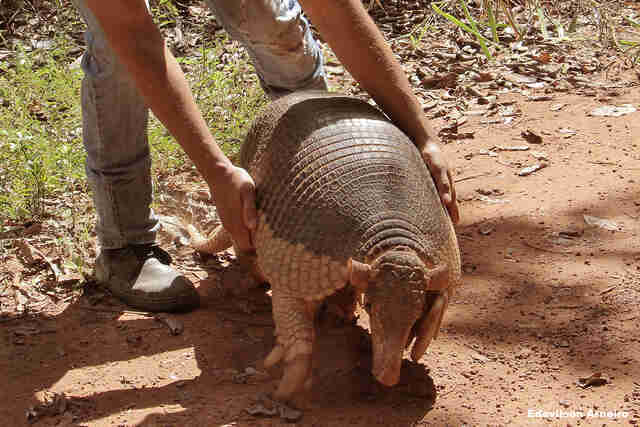 Despite their massive size, however, the giant armadillo is considered one of the most elusive animals on the planet — so much so, in fact, that very little is known about them at all. But just recently, one of these camera-shy behemoths decided to make a stunning rare appearance. 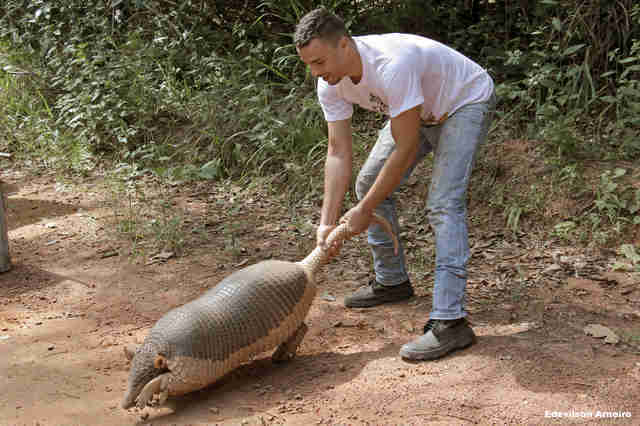 Late last month, environmentalists from the group Friends of Animals received reports of a giant armadillo walking the streets of Barra do Garças, Brazil. 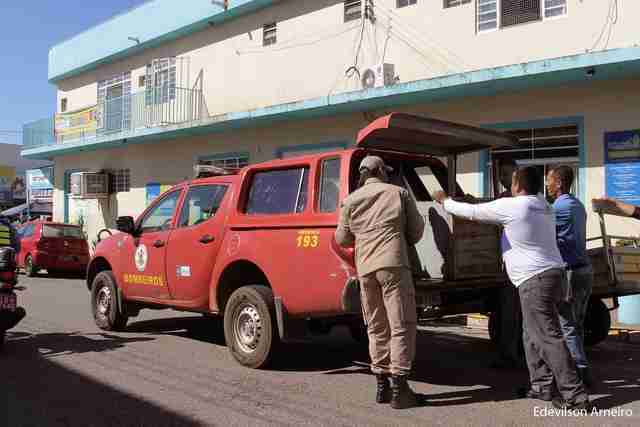 Fearing that the animal was injured or sick, they swooped in to save him. 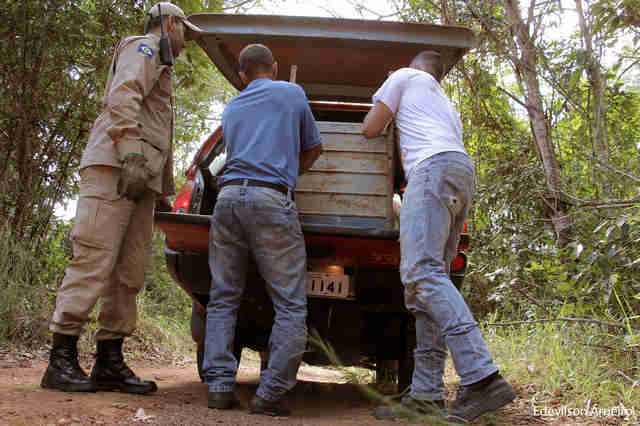 From there, the giant armadillo was taken to a vet to undergo an examination. Fortunately, he was given a clean bill of health, and deemed fit to return to his home in the wild. 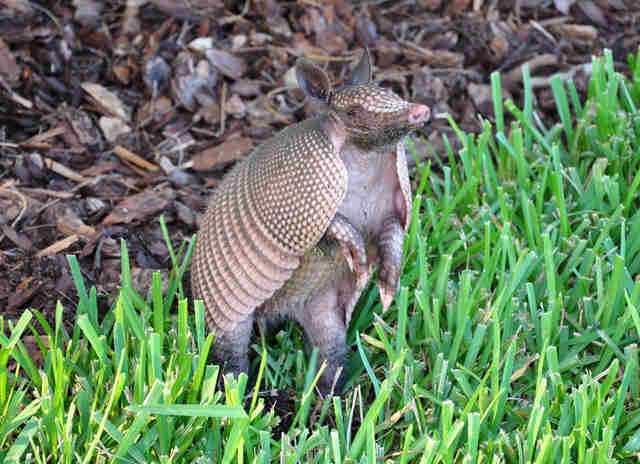 Photographer Edevilson Arneiro was on hand as the wayward armadillo was set back on the right course. 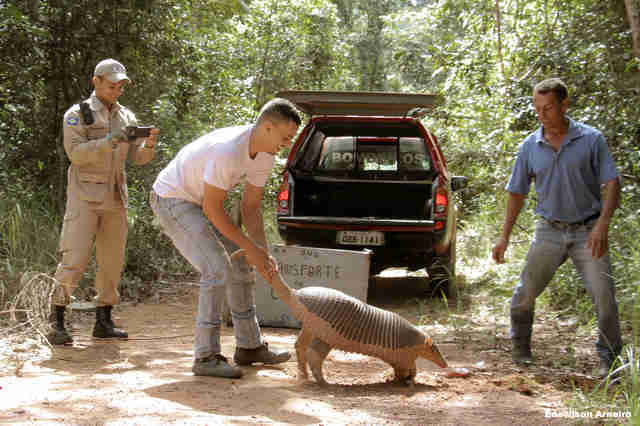 Once back in the forest from which the armadillo had likely come, the rescuers unloaded him from their car for release — stopping as they did to marvel at his massive size. Such an up-close glimpse of a giant armadillo is hard to come by, but this guy was clearly raring to go. And with that, he was off, scampering back into the forest before disappearing from sight. It was a brief, magical moment — one that Arneiro and the rescuers won't soon forget. "As a photographer who loves nature, it was thrilling to see the armadillo's joy in returning to nature," Arneiro told The Dodo. While this giant armadillo's crossing of paths with humanity had a happy ending, that's unfortunately not always the case. This species is listed as "vulnerable" by the International Union for Conservation of Nature, with poaching and habitat loss considered among its biggest threats. With any luck, this rare encounter will help put a face to this imperiled species, bolstering efforts to save them before a time comes when they're never seen again.